If you haven't noticed, I've been on a bit of a post streak. I started posting every day sometime in December and I kept it going for about four months. It was a really good exercise and I had fun doing it, but in the past week or so I've felt like I can't quite keep up the pace. I don't want writing to become a chore, because I really enjoy it right now. So, I'm going to try moving to a 5 day per week post schedule. I've noticed that my posts on the weekends don't get read as much anyway, so I'm going to try to aim for a post each weekday. Except for April 1st. No one takes anything serious on that day and it's right around the corner. Anyway, I'm giving myself permission to skip posting on weekends if I don't feel like it. You might still get 7 posts per week, but I'm not going to hold myself to it. We'll see how 5 days per week feels for me going forward. That's it for housekeeping. Expect a return to your normally scheduled programming tomorrow. And thanks for reading my writing! You guys make it fun to keep posting! Oh my god. It's so tiny. Look at that new canon timenline. Just compare it to the abridged version of only the novels for the Legends Expanded Universe. I'm having trouble letting go of the old Expanded Universe. Can you tell? I played to level 15 with all three magic classes. Later, these classes evolve and split off into more than three jobs once they reach the job stage at level 30, but all Discipline of Magic jobs stem from these three classes. 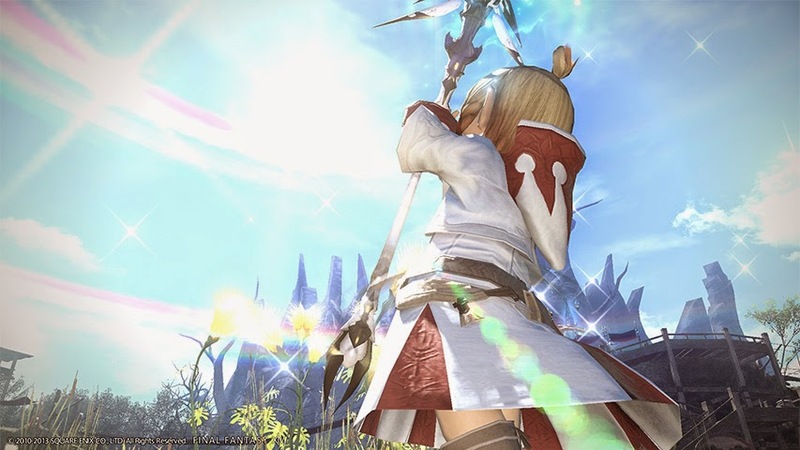 Level 15 is a key point in Final Fantasy XIV because it's the point at which you can use the Duty Finder to automatically find groups and run dungeons. It's when the game really picks up and becomes much more fun. Dungeons are one of my favorite parts of the game and they also give great loot and experience. I would much rather level via dungeons than via grinding out Leve Quests. And that's what I've had to do while getting these classes up to 15. Lots of Leve Quests. Actually, under level 10 isn't too bad if you do your class quests and your class hunting log. It'll generally get you to level 10 without too much grinding. But leveling from 10 to 15 is a slog. That's where Leve Quests come in. Unfortunately, Leve Quests don't add much variety. Any one Leve Quest vendor will give you the same four or five quests over and over. The quests scale to be the optimal difficultly and experience... but going through the motions of the quests is exactly the same every time. It's an efficient way to level, but it's not a very interesting one. Right now I hate levels 10-15. That's my basic methodology... do class quests, do hunting log, then do Leve Quests. I got all three of these classes up to 15 even though it took awhile. One of the benefits is that I can now start getting rid of low level gear in my inventory. More importantly, I'm excited to start running dungeons as these classes. But what have I thought about the actual classes up to this point? Arcanist has been my favorite of the three magic based classes. I thought I would like the Scholar job and this is the class that leads to it. It has a mixture of damage over time (DoT) skills and healing abilities. It also has a sweet summonable pet. Arcanist is the class that leads to the Summoner job, so that makes sense, but it's cool seeing that the Scholar gets summons too! 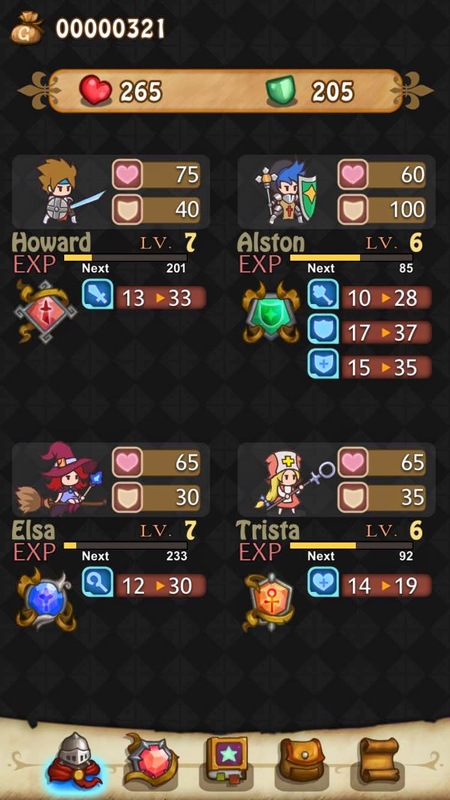 This is the class that I'm most excited to level up beyond level 15. I went into Conjurer expecting to not like it. It seemed like the boring start to the White Mage job. I was wrong. Conjurer is actually really fun. It's a combination of elemental attacks, healing, and damage mitigation. The damage mitigation really sets it apart from Arcanist in an interesting way. I liked my time leveling this class to 15 and now I'm intrigued to see how it plays with groups in dungeons. I like DPS classes a lot. I always have. My main job is a Bard, which is a ranged DPS, and I love playing as it. This is a ranged DPS caster and I thought it would be a great fit for me. It is not. I can't seem to get my head around the correct spell rotation or how the class abilities work together. I feel like I must be doing it wrong. This class leads to the Black Mage job, which is one of the most powerful DPS classes in the game. I hung in there and got Thaumaturge to 15 but I wouldn't go back to this class without doing a lot of research first. I feel like there's some key aspect about the spell rotation that requires more explanation than I've been given in the game. I had a lot of fun with these casters and now I'm super excited to take my two healing classes into dungeons. I anticipate running dungeons as a healer will be a completely new experience. I look forward to it! The Wolf Among Us was a flop for me. I bought a season pass and played episode one when it released, but I hadn't gotten back to playing the other four episodes until this last week. I buckled down, played episodes 2 and 3, and then gave up. I gave this story plenty of time to grip me but it failed. It was a murder mystery where I never actually got to solve anything. It was very unsatisfying. I know these Telltale story-based games are on rails. There's not much you can do to effect the overall outcome. But, while most of them keep me on the edge of my seat, this one completely failed to connect with me. It's sad because I loved the Walking Dead and I've loved the episodes of Game of Thrones and Tales from the Borderlands that have released so far. I'm actually super excited that the next Tales from the Borderlands just released. 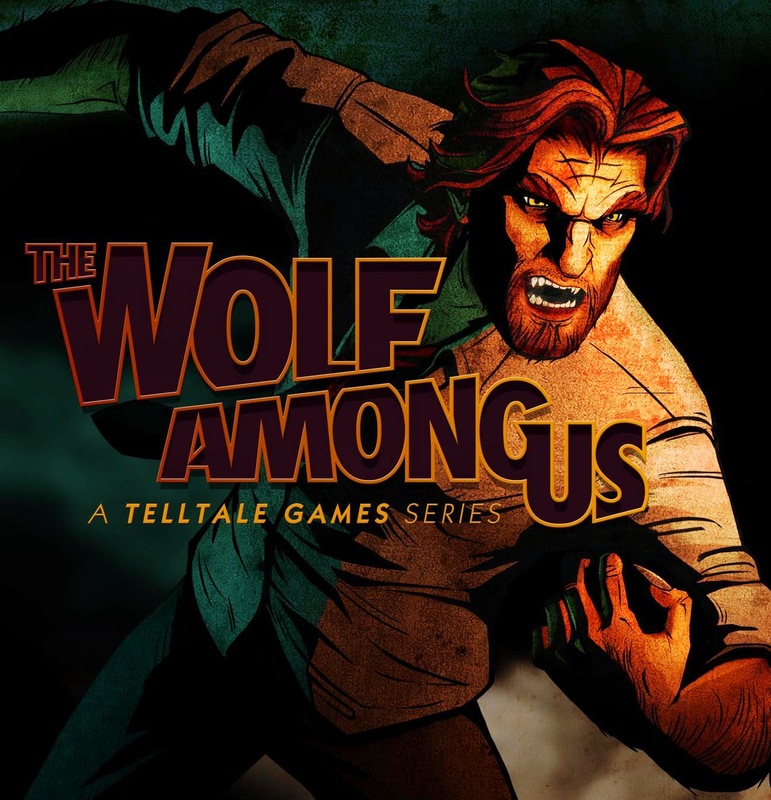 I never felt any of that excitement about The Wolf Among Us. It would probably be different if I were already invested in the world. I know a handful of people who have read the comic books and they all loved the game. I don't know if I can put my finger on one major thing that drove me to give up after three episodes. 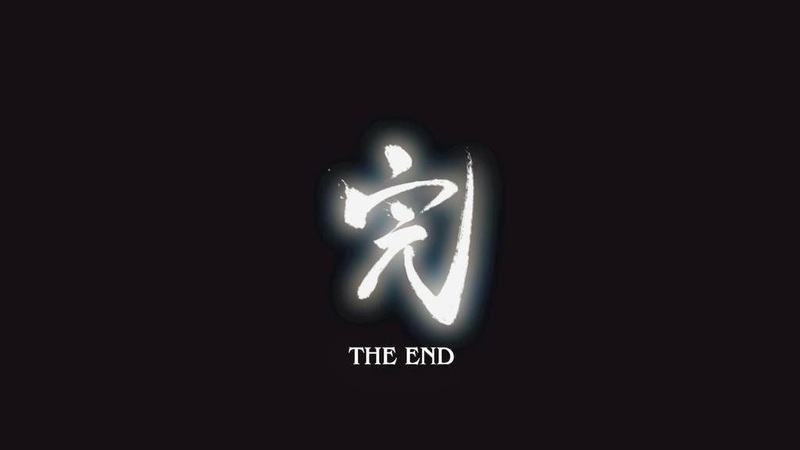 I think it was just too slowly paced for my tastes coupled with the fact that I never managed to connect with any of the characters. The combination killed it for me. 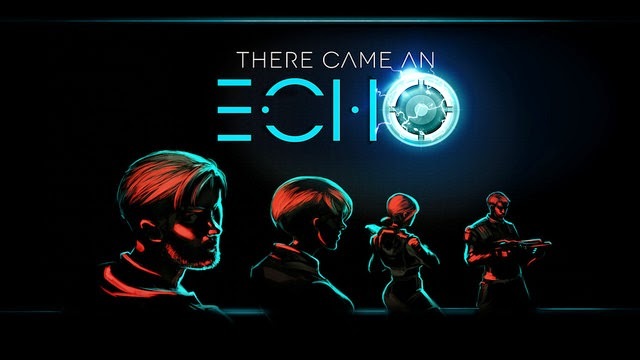 Of all the Telltale games I've tried this is the only one that I haven't absolutely loved. That's still a really good track record for the developer. I've wanted to like Monster Hunter ever since I first heard about it. The premise of taking on giant monsters with 3rd person action skills appeals to me. The problem has always been the execution and unfriendliness of Monster Hunter. 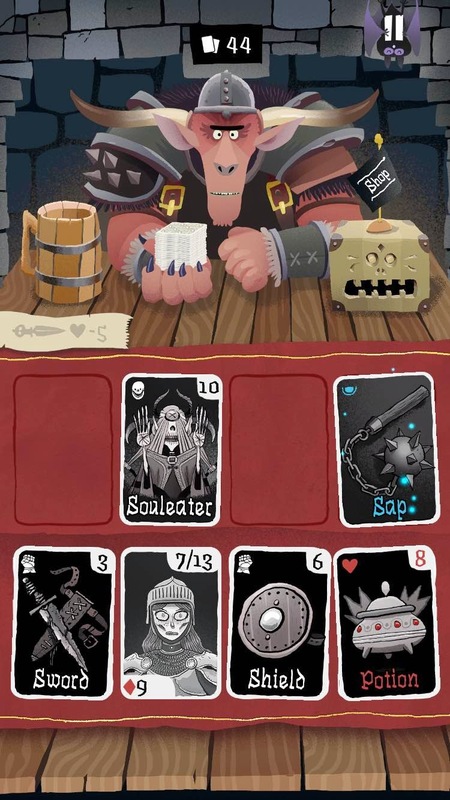 It's never been a game that's easily approachable for new players. In fact, it's a game that's been extremely difficult for new players to figure out. I think I would have gotten into it long ago if I had a friend to answer questions and guide me through the game. But, that's never happened. Everything I've heard about Monster Hunter 4 says that it's the most newbie friendly Monster Hunter game that they've ever made. So, I gave the free demo a shot. Thanks 3DS eShop! I sat down and played the demo for over 3 hours the other night, just trying out all the weapons and attempting to get my head around the basics of monster hunting while in the beginner section of the demo. I finally settled on two weapons that I like (after trying almost all 16). 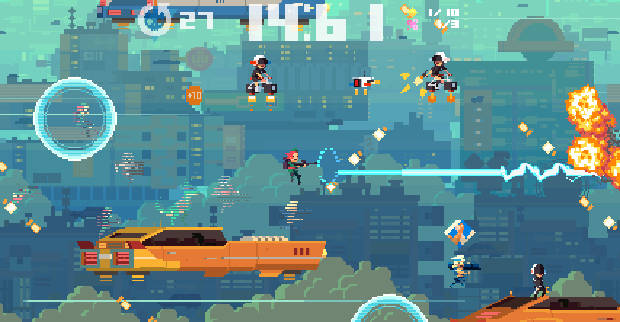 It's tough, because each weapon feels almost like you're playing a different game. They each handle in a unique way that doesn't translate to the other weapons. I powered through, struggling with the different weapons, until I found the long sword. It was the first weapon that clicked with me. After going through almost everything else, I eventually tried the duel wielding swords and found those to my liking too. With two weapons in hand that I kind of understood, I jumped into the intermediate level of the demo to see if I could take down a monster that was actually a challenge. And I did it! It was my first monster hunter kill that I was really proud of. It was also the first time I hunted a monster and didn't walk away frustrated at the controls. Spending that time picking the right weapons seemed to make a world of difference for me. 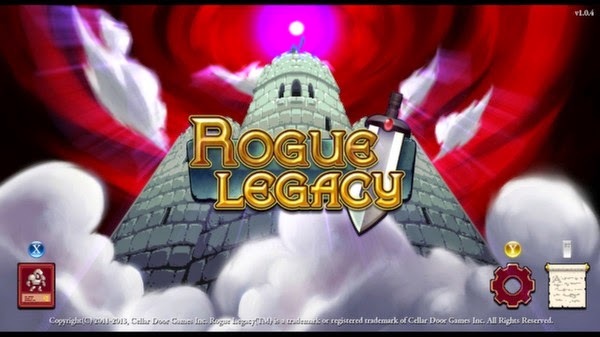 After pouring so much time into the demo, and hearing such great reviews, I downloaded the full game. The demo did enough to convince me that Monster Hunter 4 might be for me. The verdict is still out. I'll let you know once I've had more time with the full game. The other day I finished Agent to the Stars by John Scalzi and it was well worth the read. Well, in this case, the listen. I listened to the audiobook version on Audible narrated by Wil Wheaton. He narrates a lot of John Scalzi's books and they make a good team. 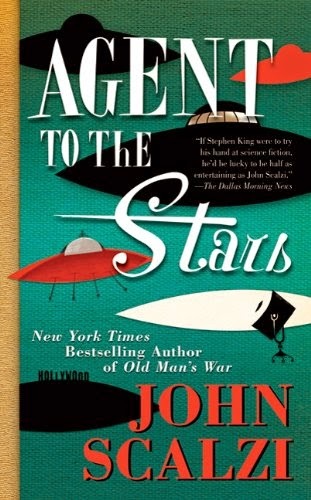 Scalzi is one of my favorite authors, but Agent to the Stars was released before I had discovered him. I finally got around to reading the book but I wish I hadn't taken so long. Agent to the Stars is about a Hollywood agent who is asked to represent an alien species trying to make first contact with earth. 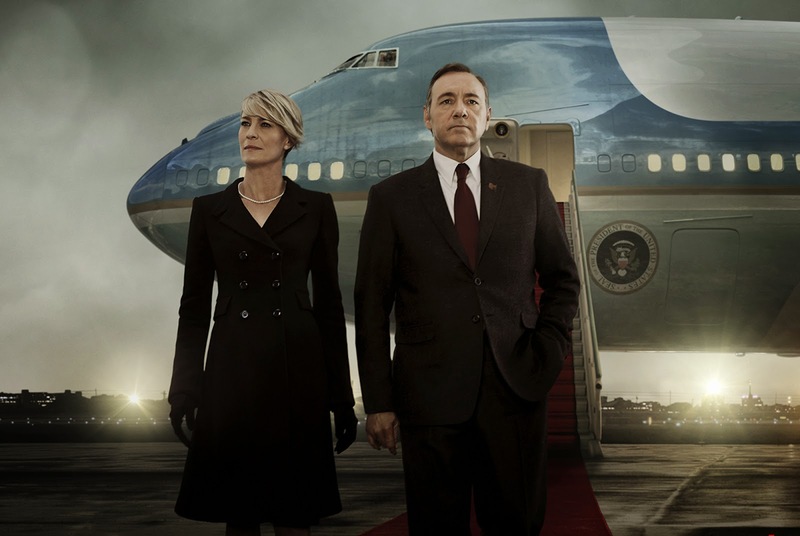 Instead of the traditional model of contacting world leaders they would like to make first contact through Hollywood. Their thinking is that American media sets the standard of culture for the world, so it's best to make first contact through them, they just aren't sure about the best way to do it. It's a great sci-fi novel and also gives an interesting glimpse into the world of being an agent. The novel is an easy recommendation, it's a good book. 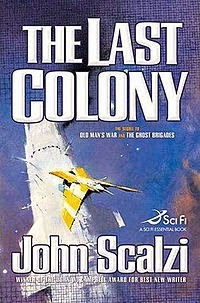 But, if you've never read anything by Scalzi before, I recommend reading his best novel Old Man's War over this one. This is a good novel, but Old Man's War is amazing. I "finished" Final Fantasy XIV, but I've actually still been playing it. My twitter friend and free-company mate (guildmate) in the game, Belghast, encouraged me to jump back on and try some of the content that unlocks at level 50. Wow, there is a ton of content that unlocks at level 50. When I wrote my wrap-up post I was at 84 hours of play time after leveling to 50 and completing the main story. I'm now over 160 hours and I have yet to repeat content after hitting the level cap. I haven't even had to run the same endgame dungeon twice. Let's talk about content. 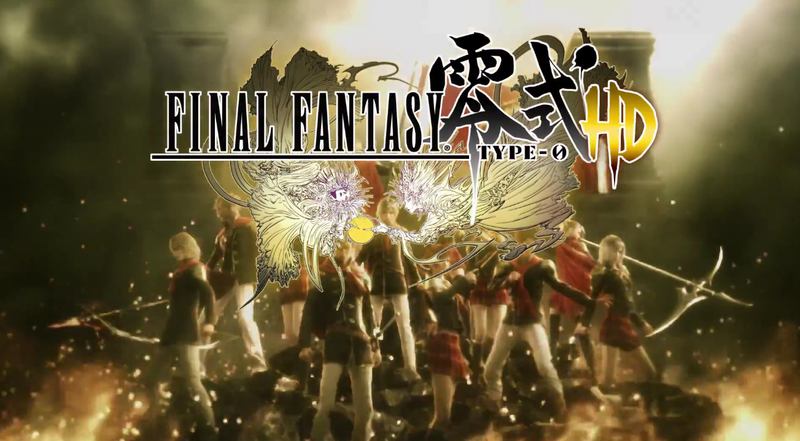 Final Fantasy XIV releases huge amounts of content on a regular basis. 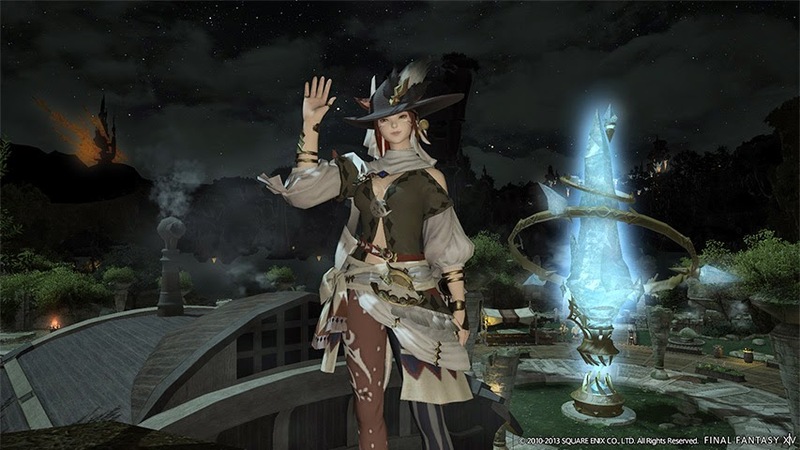 In one of their recent "small" updates they patched in an entire mini-game center and new location in the game called the Gold Saucer... on top of adding new story quests and dungeons. At this point, after 5 major patches, there is almost as much story after level 50 as there is leading up to level 50. And there are many more dungeons at endgame than there are while leveling up. It's a huge shift from a game like WoW where only a small handful of dungeons are meaningful at any given time. 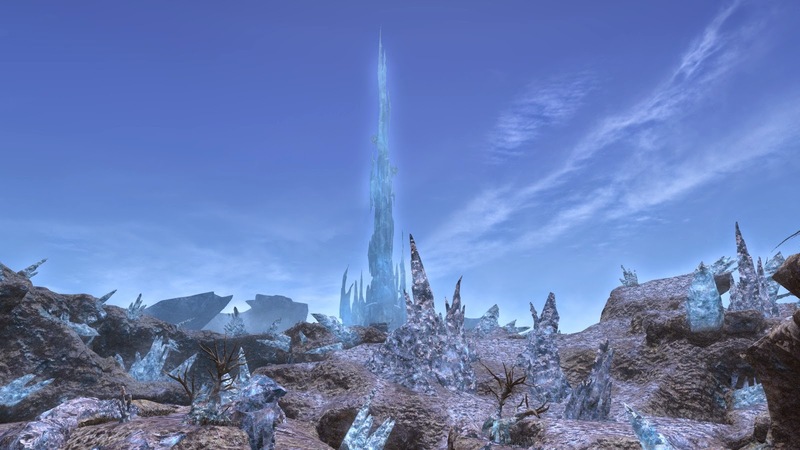 In Final Fantasy XIV there is a level 50 version of every low level dungeon, unique level 50 dungeons, level 50 versions of every primal encounter, and a bunch of raid content. Essentially, I'm sitting at over 160 hours played and the only time I had to repeat content was a few days when I was leveling through the 30-50 range. I haven't repeated any content at level 50 yet. I'm so glad that Belghast convinced me to come back and try endgame content in Final Fantasy XIV. I've decided to subscribe to the game and actually pay for game time for awhile. I haven't had a MMO click with me like this in a long time. It'll be a good gaming home to put down roots for awhile, at least through the expansion that is due in June. Now that I'm subscribed and committed, I'll most likely cut back my play time a bit. I don't want to burn out on this MMO as fast as I typically do. I would love to start getting more into the Final Fantasy spin-offs soon as well as anything else that comes out and grabs my attention. For the foreseeable future, I'll be dabbling in Final Fantasy XIV while playing other games too. I want to try out the raids and see if they're fun for me. I've never much enjoyed raiding in any MMO, but maybe this one will be different. I'd also like to try leveling another class or two and eventually get around to crafting. Now that I'm committed to this world for awhile I want to branch out and explore what it has to offer. I also want to try to do more content with my Free Company. They're great people and I have fun chatting with them. Now that I'm max level I can help anyone running lower level dungeons and hopefully soon I'll be able to help with endgame raids too. I mostly just want to own up to being wrong about my initial endgame impression of Final Fantasy XIV. There's actually a lot of compelling content after hitting level 50. Enough to actually get me to subscribe to a MMO for the first time in over 4 years. Good job Final Fantasy XIV. I didn't think anything would convince me to subscribe to a MMO again. 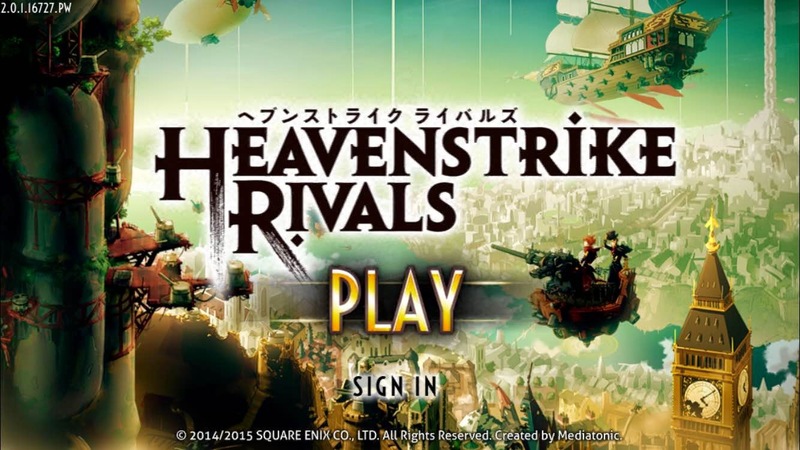 Heavenstrike appears to be what happens when you take Square Enix's talent at making tactics games and neuter it with Free to Play mechanics. Ugh. I tried it because I'll try most things that Square Enix releases. They always have my attention since they're the company that makes Final Fantasy... and if you haven't noticed by now, I love Final Fantasy. 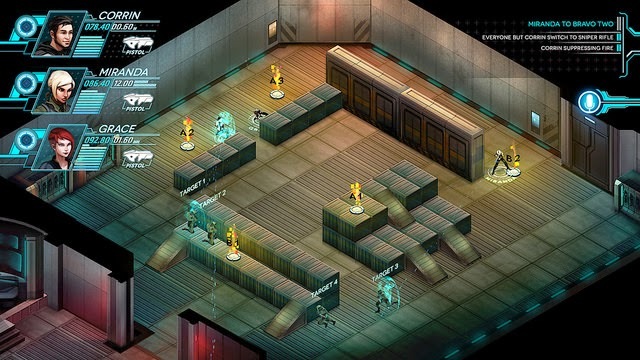 Heavenstrike is a turn based lane pushing strategy game. 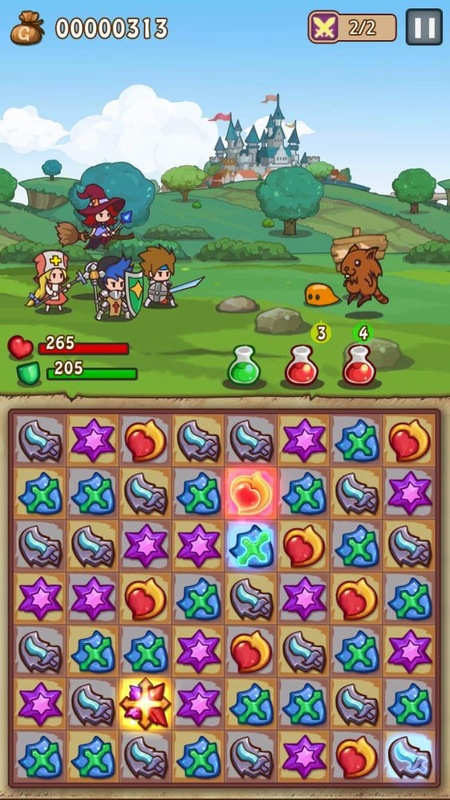 You summon units using mana and the units push up each lane trying to get to the enemy commander to do damage. The first one to take out the opposing commander wins. The basics aren't bad, but the game has all the free to play trappings that I try to avoid. Energy is used each time you enter a battle and if you run out of energy you can either wait a while or pay real money to buy more. You can also pay real money to have a chance to recruit new super units. This is not the way I want games to make their money. It's the worst of free to play and pay to win combined. Ugh. I hope Square Enix starts releasing mobile games without free to play mechanics soon. I would love for them to make a solid game and just sell it for one price... you know, like the good old days. Let's just get this out of the way and say... this isn't a very good book. It doesn't fit into any other overarching narrative or character development. It's a one-off novel that isn't very interesting. 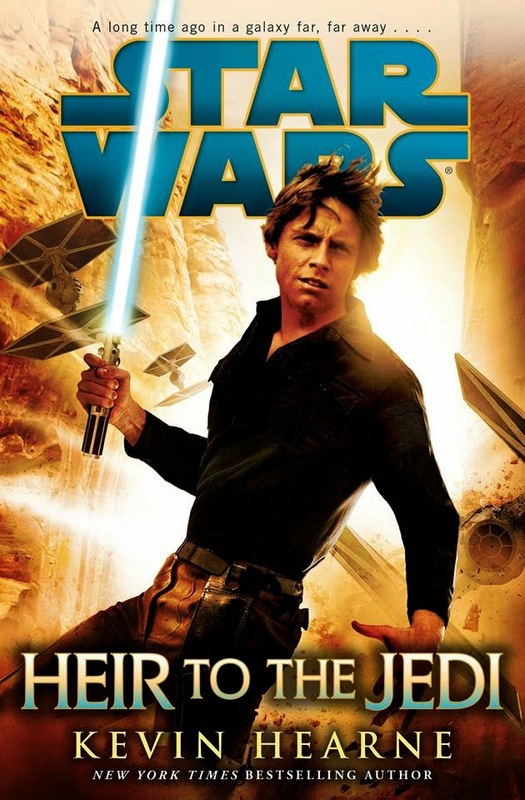 The novel takes place the day after Return of the Jedi. The Rebels are reorganizing when they get a distress call from a remote imperial outpost about a new enemy that could threaten the galaxy. Luke Skywalker is given a task force to command and goes to assess the situation. He brings along the main cast from the movies and together they discover that the alien threat is stealing human lifeforce in order to power their technology. The only real character development that happens is Luke getting slightly better at force healing through practice and Leia coming to terms with Vader being her father. In the end, the alien menace is destroyed, the planet that was threatened joins the Rebel Alliance, and some imperials defect. Don't waste your time on this novel unless you're a Star Wars completionist like me. For most people it wouldn't be worth it. There are much better novels and series later in Star Wars Legends that definitely are worth reading. Again, I'm glad I found an abridged audiobook version of this novel. I didn't have to re-read the entire thing. It was a time saver. This is the last novel in the Rebellion era. 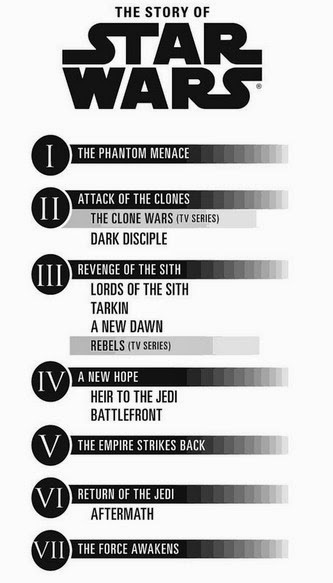 After this we start to get into the New Republic era and the novels get better. I tried, I really did. I bought GTA V around the holidays and I've tried to play it and get into it multiple times. I just can't. I used to love this series. When I was 13 I thought GTA 3 was one of the greatest games of all time. I have amazing memories of playing GTA Vice City when I was just a little bit older. But somewhere around GTA San Andreas or GTA IV the series lost touch with me. I don't think it's GTA that's changed, I think it's me. I'm not the same person at 28 that I was at 13. It doesn't do anything for me anymore. 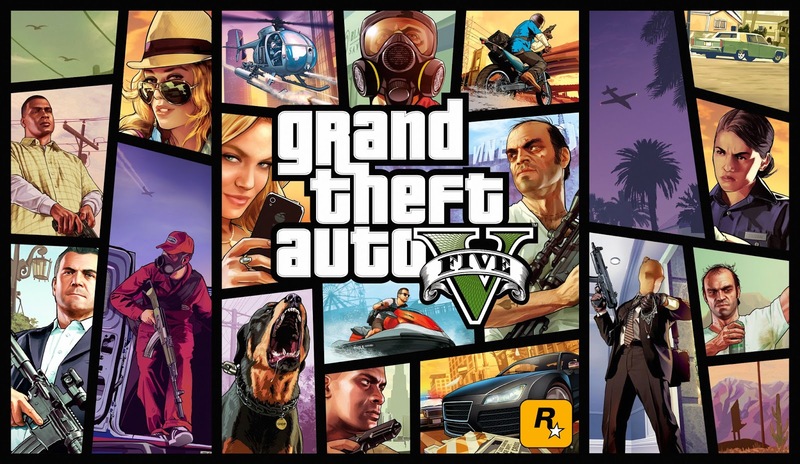 Somehow all the hype convinced me that this time would be different when GTA V released for PS4 a few months ago. I've tried to get into it multiple times and I've met with failure every time. Not failure at actually completing objectives in the game, but failure at being remotely interested in the game. I guess I'm not the right demographic for GTA anymore. It takes itself too seriously with too much nitty gritty. It aims for realism in a way that doesn't appeal to me. For me, it's lost the fun that it used to have. These days, if I want to scratch that itch for off-the-wall open world craziness it's better to turn to a Saint's Row game. They don't take themselves seriously at all, and that's what make them fun. 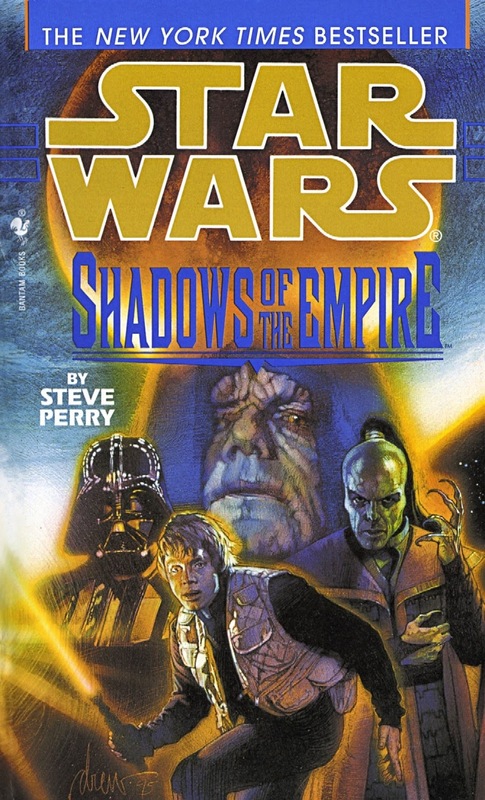 The two books I wanted a quick refresher of in the Rebellion era of Star War Legends were Shadows of the Empire and The Truce at Bakura. Luckily for me, I found the audio book abridged versions of both of these books. I wanted to jog my memories but didn't want to re-read the whole book for either of them. As I've said before, I think this is the least interesting era of the Star Wars Legends novels. They're much too constrained by the movies. I remembered them not being very good, and it seems like I was at least correct for Shadows of the Empire. 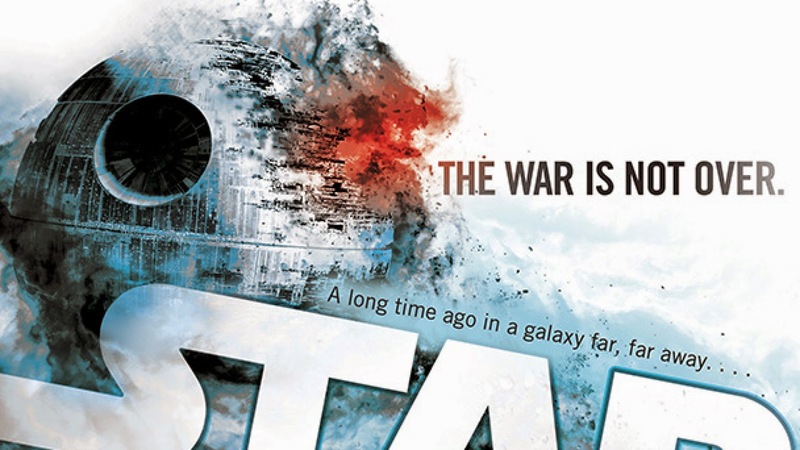 This novel takes place between The Empire Strikes Back and Return of the Jedi. It focuses on Luke, Leia, Lando, Darth Vader, and Xizor. Essentially, both Darth Vader and Xizor are hunting for Luke Skywalker while Luke and his friends are looking for Han Solo. Darth Vader wants to capture Luke and turn him to the dark side of the force while Xizor wants to kill Luke in retribution for a past transgression that Vader caused him. It's an interesting dynamic, but the implementation isn't very interesting. The book also introduces a one off character, Dash Rendar. He fills in the smuggler role while Han is frozen in carbonite. He's an annoying character and I'm glad he's not recurring throughout the series. Overall, it's a filler book. If you've seen the movies you know exactly where the characters are at the start and end of this book. It makes the whole thing feel pointless. I should also mention that the audio book version really annoyed me because the narrator kept pronouncing names wrong in the universe. Emperor Palpatine and the planet Coruscant are pronounced incorrectly throughout the entire performance. And it's not much of a performance. It's much more like someone reading a book to you and less like a talented voice actor performing the bookk. It does have sound effects and music, which help out a bit I suppose. As far as my recommendation. Well, It's not a very good book, but it does help flesh out the events that transpire between The Empire Strikes Back and Return of the Jedi. If you feel like there's a conspicuous gap between the movies then maybe you should give Shadows of the Empire a try. I think, for most of us, this novel is better avoided. I was initially turned off by the first few Star Wars comics I picked up. But I got some more anyway... because Star Wars. Don't look at me like that... it's my weakness. After two issues it's easy to say that Vader is a much better series than the main Star Wars comics. 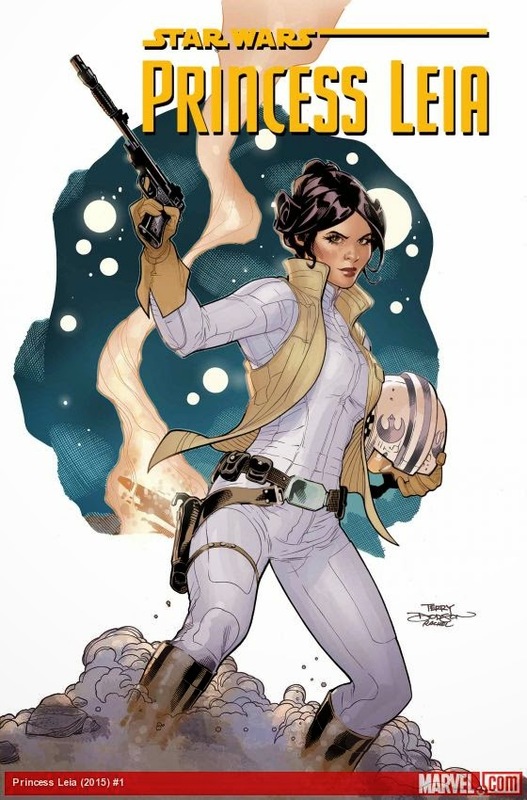 The Star Wars main comic feels very generic with too much action and not enough plot or character development. Vader, on the other hand, is all about Vader's character development. It focuses on his relationship with the Emperor and his place in the Empire hierarchy. Since they're both Sith they don't trust each other and they plot behind each other's backs. It's really interesting. It has action too, but it's much more measured and intimating actions taken by Vader. It's not action for the sake of having action. The Leia series is still a bit too early to tell. There's only one issue released and it eases into the premise of the story. I liked the set up and it seems like it's going to be an interesting character piece on Leia. It could end up being just as intriguing as Vader after another couple issues. 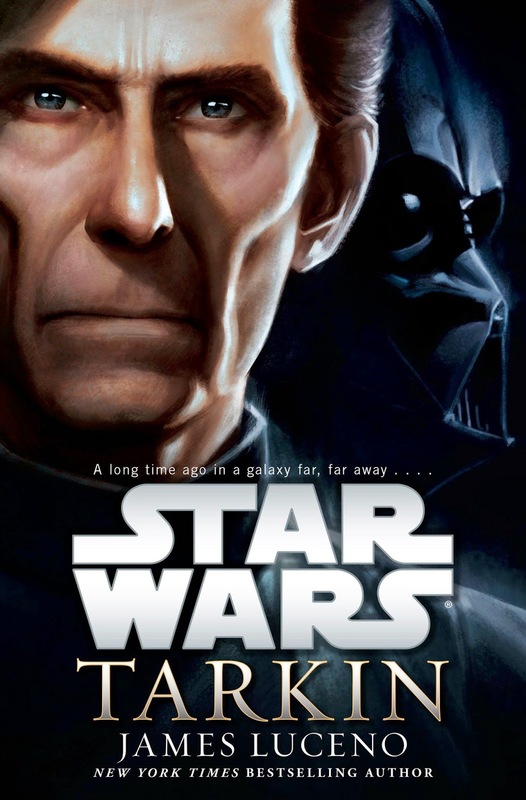 Yesterday I finished Star War: Tarkin. It's the second novel in the Star Wars New Expanded Universe. I must say, this novel was much better than A New Dawn. The novel is a character piece all about how Grand Moff Tarkin became a Grand Moff. It also details how he became involved with the Death Star. It's a good read for the background alone, but it's actually a really interesting look at his life and how he works within the Empire to achieve his goals. I jumped back and forth between reading the kindle version and listening to the Audible version. Have I mentioned how much I love whispersync syncing between kindle books and Audible? It's amazing. The audio book version is great. It has amazing sound design. 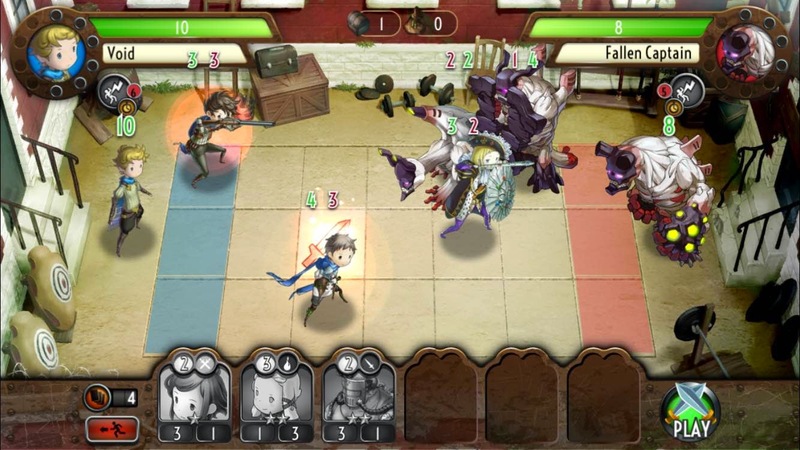 They manage to capture the atmosphere of scenes as well as adding sound effects as characters are acting within the scenes. I've never encountered an audiobook with these productive values before. It's easy to recommend it. And overall, Tarkin is easier to recommend than A New Dawn. It's a much more interesting book. I've officially reached the end of the novels in the New Expanded Universe now. I know there are only two, but its still sad compared to how many were in the Old Expanded Universe (now called Star Wars Legends). I'm excited for the first books in the new Expanded Universe that actually have main characters like Luke, Han, and Leia. I think the next one that releases is slated to get back to them. While I'm still adapting to this New Expanded Universe I'm glad that I'm starting to get invested in it. I just love Star Wars so much. After writing my other post about the Star Wars Expanded Universe I learned that the old Expanded Universe is now called Star Wars Legends. It's actually a pretty good name for it, since it is essentially it's own separate universe now. From what I can tell, there's no official name for the New Expanded Universe, but from now on I'll refer to the Old Expanded Universe as Star Wars Legends. I've decided to do what I was contemplating. I'm going to re-read a big chunk of the Star Wars Legends in order and rekindle my fond memories of the series. I've been referring to this handy chart while planning my reading. I suggest you glance at it, just to see how many novels are in the Star Wars Legends collection. It's impressive. I've read the majority of the Star Wars Legends book, from all the eras represented. Going back and reading absolutely everything isn't something I feel like doing right now. But I do have a plan for which novels I'm revisiting. I'm going to start with some selected readings from the Rebellion Era. There are a lot of books in the Rebellion Era, but they don't actually add that much of interest. 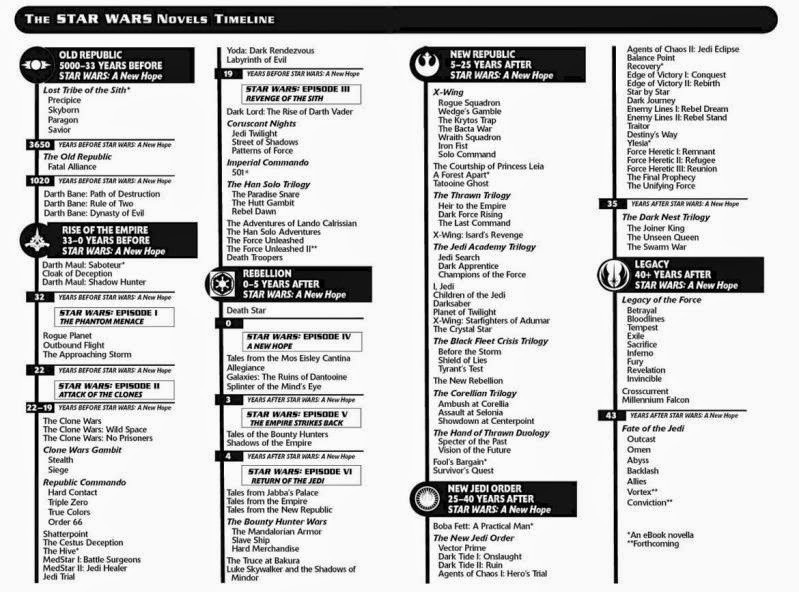 This is the era in the timeline where the movies are taking place, so the novels are super constrained to fit around the movies. I'm skipping the entire era except for Shadows of the Empire and The Truce at Bakura. They're both one-off books. Shadows of the Empire takes place between Empire Strikes Back and Return of the Jedi in the original trilogy. 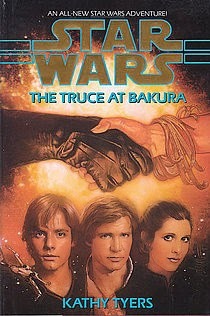 The Truce at Bakura happens immediately after Return of the Jedi. They both add a little bit and help round out the story in the Rebellion era. After that I'm going to read everything. There are three eras that exist after the Rebellion era. Those are where the best books in Star Wars Legends are. The New Republic Era is all about what happens after you overthrow an empire. How do you deal with the fallout and establish a new government? What are the ramifications and unforeseen consequences? I've read over half of the novels in this era. The New Jedi Order Era is the next generation of Jedi trained by Luke Skywalker. It includes the children of Han and Leia. The Solo children are some of the best characters in Star Wars Legends. This is where the novel series starts to get amazing. The authors are finally free to stretch their imaginations beyond the Rebellion/Empire dynamic. This is my favorite era in the Star Wars Legends universe. I've read every book in this era. The Legacy Era deals with how the next generation of Jedi handle the fallout from the events of the New Jedi Order Era. In the New Jedi Order era there is a war with a new group of enemies and it leaves that generation of Jedi changed and scarred in interesting ways. This is the era where the long term consequences of all that is shown. The Legacy Era is much more about personal relationships and threats from within. I've also read every book in this era as well. That's my master plan. It'll take awhile, and I'm ok with that. For the most part I will be revisiting books that I loved the first time I read them. I'll have a better perspective on them now that I've read so many Star Wars books. It'll be interesting to see which novels and book series hold up well. I'm also excited to read all the books in the New Republic era that I missed the first time I went through these novels. Now that I have it down in writing I actually need to do it. Better get started.